'Colorful' CLC, Releases 2nd Concept Image of 8th Mini album ‘No.1’! CLC has released their second concept image. CLC has released their 2nd concept image of their 8th mini album ‘No.1’, which will be released on the 30th, through the official SNS at midnight of 22th. The teaser image is total of 8 pictures, each with 7 photos including seven photo of each members and a group photo. It is an elegant and colorful image of CLC members surrounded by flowers, contrary to the first concept image that emphasizes the chic image. 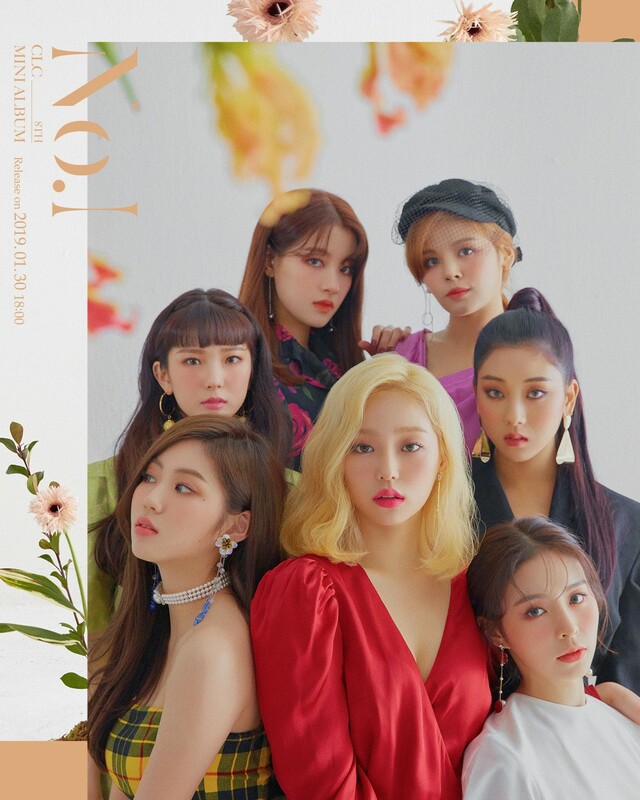 The 8th mini album ‘No.1’ of CLC, as a new piece of the group since the release of ‘BLACK DRESS’ which was released in February last year, raises expectation on what kind of new look they will be presenting as they already showed off the charismatic charm through ‘BLACK DRSESS. CLC met their fans through ‘CLC in Seongdong-gu’, a reality program that was concluded last November, and is focusing for the preparation for their comeback. On the other hand, the 8th mini album ‘No.1’ of CLC will be released at 6 pm on the 30th through various online music source sites.